Head Coach CSF Sevilla (2004-05)…Head Coach Baskonia Vitoria (November '05-January ‘07)...Head Coach Estudiantes Madrid (December 2007-2008)...Head Coach Cibona Zagreb (2008-2010)...Head Coach Efes Pilsen Istanbul (2010-March'11)...Head Coach Valencia CB (January'12-January'15)...Head Coach Baskonia Vitoria-Gasteiz (2015-2016)...Head Coach Anadolu Efes Istanbul (2016-December'17)...Head Coach Baskonia Vitoria-Gasteiz (November'18-...). won the 2014 EuroCup with Valencia BC…won the 2008-09 and 2009-10 Croatian National Championship with Cibona Zagreb…won the 2006 Spanish National Cup (King's Cup) with Baskonia Vitoria…won the 2009 Croatian National Cup with Cibona Zagreb...won the 2010 Turkish President Cup with Efes Pilsen Istanbul. Named 2014 Spanish Coach of the Year. 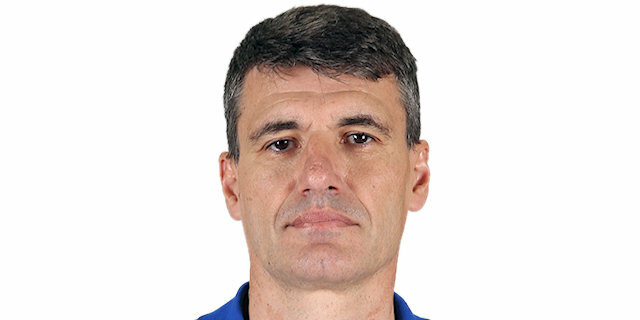 Sports Director KK Split (2003-04).